One of my favorite set of posts from last offseason was the conference recap using SDPI. SDPI is a statistic I borrowed from Eddie Epstein that he used in his book, Dominance, to rank pro football's all-time greatest teams. SDPI stands for Standard Deviation Power Index and looks at how teams performed relative to the league average (or conference average in this case) and standard deviation in terms of points scored and allowed. The more standard deviations a team is above the mean, the better they are, and vice-versa. Here is the link to last year's Big East post. As you can see, SDPI was a useful tool in predicting some of the rise and fall among the Big East's teams. In the interest of providing an even better offseason analysis, I will now be conducting another SDPI, this time for yardage. It is calculated in the same manner as the SDPI for points, but will obviously be measured against the conference mean and standard deviation for yards. Think of it this way: Points are the end result and yards are the means to that end. Thus, looking at both sets of data, we can get an even better idea about which teams are likely to improve or regress in 2008. If you want the meat of the article, skip this next paragraph as it just gives an example of how the SDPI is calculated. The mean points scored and allowed for all Big East teams in conference play was 186.75 points. The standard deviation for points scored was 41.35. The standard deviation for points allowed was 45.16. 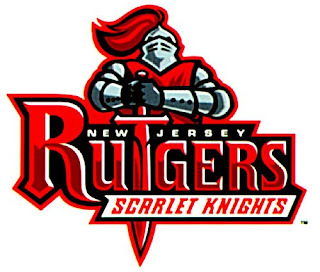 Rutgers scored 171 points in Big East play and allowed 195. Their offensive SDPI was -0.38 = ([171-186.75]/41.35). Their defensive SDPI was -0.18 = ([186.75-195]/45.16). Their total SDPI for points (SDPIP) was -0.56 which ranked 5th in the conference. The mean yardage for and against for all Big East teams in conference play was 2684.13 yards. The standard deviation for yardage for was 373.40. The standard deviation for yards allowed was 447.01. Rutgers gained 2832 yards in conference play and allowed 2578. Their offensive SDPI was 0.40 = ([2832-2684.13]/373.40). Their defensive SDPI was 0.24 = ([2684.13-2578]/447.01). Their total SDPI for yards (SDPIY) was 0.63 (difference due to rounding) which ranked 3rd in the conference. To refresh your memory, here are the 2007 Big East standings. The one team very far removed from their place in the actual Big East standings and their performance is the Connecticut Huskies. The Huskies were co-champions with West Virginia, and if we look at SDPIP, they still finish a respectable 4th; having outscored their Big East opponents by a scant 4 points over the course of the season. However, if we look at the Huskies in terms of yardage, they fall all the way to the bottom of the league; ahead of only Syracuse. The Huskies gained only 333 yards per game in Big East play (ahead of only Pitt and Syracuse) while allowing 417 per contest (ahead of only Syracuse). How were the Huskies able to overcome their down-to-down inferiority and win 5 of 7 conference games? Turnover margin. The Huskies were tops in Big East play gaining 8 more turnovers than they committed over 7 conference games. In the 5 conference games where the Huskies won the turnover battle, they won. In the 2 conference games where they were in the red, they lost. The Huskies also scored 5 non-offensive touchdowns in conference play to aid their cause. An interception return for a touchdown provided the winning margin in a 7-point home defeat of South Florida. A 74-yard punt return by wide receiver Larry Taylor (illegal I might add) was the difference in a 4-point home win over Louisville. The previous few sentences were not intended to demean the accomplishments of the Huskies, merely to serve as a reminder that they may not be so fortuitous next season. Elsewhere, point and yardage differentials have very different views on Cincinnati (3rd in points and 5th in yards), Rutgers (5th in points and 3rd in yardage), and Louisville (7th in points and 4th in yardage). We'll get to Louisville later. For now, let's see how Rutgers, Cincinnati, and Connecticut performed in a few areas in Big East play in 2006 compared to 2007 with conference rank in parentheses. 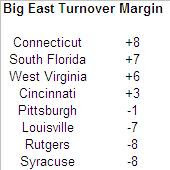 The Big East as a whole, was much more stingy in regards to yardage in 2006. 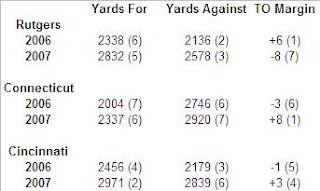 Rutgers gained about 70 more yards per game in 2007 than 2006, yet only moved up one spot in conference rank. They also allowed about 63 more yards per game, but fell only from 2nd to 3rd. The biggest difference between Rutgers Cinderella season in 2006 and their somewhat disappointing follow-up in 2007 was turnovers. The Knights led the Big East with a margin of +6 in 2006, but were tied for last at -8 in 2007. Under first year head coach Brian Kelly, the Bearcats improved substantially on offense, averaging about 73 more yards per game. Unfortunately, the defense allowed 94 more yards per game and their yardage differential actually decreased. A lot of people think Cincinnati was much better in 2007 than they were in 2006. Not so. Did you know they beat the same 4 Big East teams both seasons (Rutgers, Connecticut, South Florida, and Syracuse) while losing to the same 3 Big East teams (West Virginia, Louisville, and Pittsburgh). So why did Cincinnati finish 8-5 in 2006 and 10-3 in 2007? 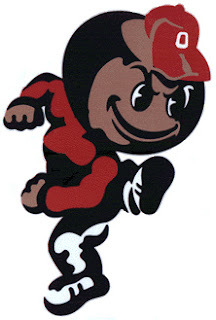 The Bearcats played road games at Ohio State and Virginia Tech in 2006, while in 2007 their toughest non-conference tests were against Oregon State and Miami of Ohio. And finally we have the aforementioned Huskies. Their slight improvement in offense was nearly offset by their regression on defense. The Huskies owe most of their success to an improvement in turnover margin, going from worst to first, and subsequently doing the same in the standings. West Virginia scored the most points of any Big East team in conference play, but were only 4th in yards gained. Louisville gained the most yards, but were only 4th in points scored. The reason for this disparity is twofold. The distance between Louisville and West Virginia in yardage gained in conference play was only 54 yards (less than 8 per game). The other reason? Of course it was turnovers. Louisville turned the ball over 20 times in conference play, while West Virginia committed only 16. While the Pitt Panthers were close in terms of offensive ineptitude, Syracuse sweeps both measures. Any question towards the validity of Pitt's ranking should be quelled by looking at the boxscore from their season finale. Another clean sweep for a once proud program. Yes the Mountaineers lost a great coach in Rich Rodriguez. Yes they may have pulled the trigger too soon on Bill Stewart, while basking in the afterglow of a Fiesta Bowl win. Still, if Bill Stewart is the wrong man for the job, that won't be known until a few years down the road. His presence next season will not make Pat White or Noel Devine slower, nor will it make the 5 returning starters on the offensive line weaker, nor will it prevent the Mountaineers from having 4 Big East home games. Stewart was a failure at VMI, but if Norv Turner can succeed with superior personnel in the NFL, Bill Stewart should be able to do the same at West Virginia for at least a few seasons. 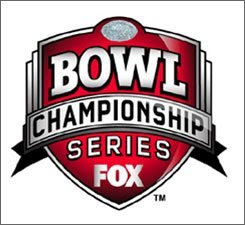 Louisville went from the BCS to bowl-less in less than one calendar year. A revival in 2008 is not out of the question despite the loss of star quarterback Brian Brohm and receivers Harry Douglas and Mario Urrutia. For starters, the Cardinals do bring back a host of talented running backs (Anthony Allen, Brock Bolen, and George Stripling) for their new quarterback to hand off to. And while that quarterback will not be Brian Brohm, Hunter Cantwell has some experience, subbing for the injured Brohm in 2006 when he put up pretty good numbers. The Cardinals defense should also improve next as 7 of their top 11 tacklers return. Their defense was bad last season, but not not nearly as terrible as the most folks believe. They were 5th in the league in yards allowed, about 1/4th of a standard deviation below average. The Cardinals should also see their luck in the turnover department rebound. They were -7 (6th in the conference) in turnover margin in league play. Finally, for all the criticism he endured, Steve Kragthorpe is a fine football coach. You don't resurrect the Tulsa football program without possessing a solid football acumen. Louisville gets 4 conference home games in 2008 and one of their road games is at Syracuse, so the Cardinals are a lock for at least 4 conference wins, and if things break right could find themselves as the Big East champion. As for the Scarlet Knights, they do lose their workhorse running back Ray Rice, but also return a veteran senior quarterback (Mike Teel) who has improved substantially in his 3 seasons. Teel also gets his 2 playmaking receivers, Kenny Britt and Tiquan Underwood, back for another campaign. Britt averaged 19.9 yards per catch (5th in the nation) and Underwood averaged 16.9 (30th in the nation), making them the epitome of a big-play duo. The defense also returns 7 of its top 10 tacklers and should continue to be one of the Big East's best. The Knights do lose 3 starting offensive linemen, but that is likely the only area of concern. Their -8 (last in the conference) turnover margin should also improve as they continue their improbable rise under Greg Schiano. Only Syracuse allowed more yards than the Huskies and only Pitt and Syracuse gained fewer yards. As their league-best +8 turnover margin regresses closer to the middle of the pack, the Huskies will certainly not repeat as Big East co-champs and even with Hofstra, Temple, and Baylor on the schedule outside the league, they could find themselves on the outside looking in come postseason time. What about the other 4 teams? What is their prognosis. If Ben Mauk is allowed to return for a 6th year of eligibility (and he should be), the Bearcats could hold their place in the upper-half of the league. Remember though, despite the improvement by the offense under Kelly, the defense regressed and 5 starters from that unit are gone. Keep those predictions of a Queen City renaissance under wraps until about 2010 (if Kelly sticks around that long). South Florida was the second best team in the league based on points or yardage. However, for an offense that relies so much on Matt Grothe (65.7% of team's total offense), the Bulls are one injury or bad game from Grothe of being an also ran offensively. The defense was stellar in the 2007, but the unit loses linebacker Ben Moffitt and both starting corners (Trae Williams and Mike Jenkins). Plus the defense was shredded the last two games by Pitt (unacceptable) and Oregon (somewhat acceptable even without Dixon) so it remains to be seen how consistent they can be. Finally in 2008, they must travel to Louisville and West Virginia so I don't foresee them taking the conference crown either. If Pitt can find an offense, they will be dangerous in 2008. They had the league's best defense in 2007 and return a host of talent from that unit. LeSean McCoy is a playmaker at running back, but Pitt should see if there is any eligibility left for Tyler Palko. Finally Syracuse is bad, and has been ever since Paul Pasqualoni left. Should be the same old song and dance in 2008. One of my favorite set of posts from last offseason was the conference recap using SDPI. SDPI is a statistic I borrowed from Eddie Epstein that he used in his book, Dominance, to rank pro football's all-time greatest teams. SDPI stands for Standard Deviation Power Index and looks at how teams performed relative to the league average (or conference average in this case) and standard deviation in terms of points scored and allowed. The more standard deviations a team is above the mean, the better they are, and vice-versa. Here is the link to last year's ACC post. 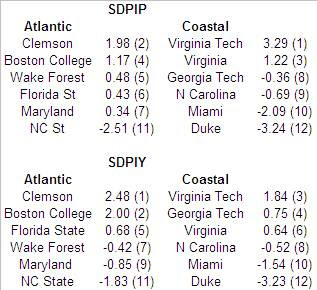 As you can see, SDPI was a useful tool in predicting some of the rise and fall among the ACC's teams. In the interest of providing an even better offseason analysis, I will now be conducting another SDPI, this time for yardage. It is calculated in the same manner as the SDPI for points, but will obviously be measured against the conference mean and standard deviation for yards. Think of it this way: Points are the end result and yards are the means to that end. Thus, looking at both sets of data, we can get an even better idea about which teams are likely to improve or regress in 2008. If you want the meat of the article, skip this next paragraph as it just gives an example of how the SDPI is calculated. The mean points scored and allowed for all ACC teams in conference play (championship game not included) was 187.75 points. The standard deviation for points scored was 39.26. The standard deviation for points allowed was 43.06. Maryland scored 194 points in ACC play and allowed 180. Their offensive SDPI was 0.16 = ([194-187.75]/39.26). Their defensive SDPI was 0.18 = ([187.75-180]/43.06). Their total SDPI for points (SDPIP) was 0.34 which ranked 7th in the conference. The mean yardage for and against for all ACC teams in conference play (championship game not included) was 2762.17 yards. The standard deviation for yardage for was 338.33. The standard deviation for yards allowed was 351.69. Maryland gained 2780 yards in conference play and allowed 3081. Their offensive SDPI was 0.05 = ([2780-2762.17]/338.33). Their defensive SDPI was -0.91 = ([2762.17-3081]/351.69). Their total SDPI for yards (SDPIY) was -0.85 (difference due to rounding) which ranked 9th in the conference. To refresh your memory, here are the 2007 ACC Standing. Both versions of SDPI correspond pretty well to the actual standings. Both versions see Clemson as the best team in the Atlantic Division, but as has become a common refrain around the upstate, Bowden just 'can't win the big one' (or 'un as it were). One stat that really jumps off the page is how dominant Virginia Tech looked in regards to points and scoring margin versus yardage. The Hokies outscored their ACC opponents by 135 points in 8 games (almost 17 per game), but 'only' outgained league foes by about 80 yards per game. One reason for this large disparity is the fact that the Hokies scored 4 non-offensive touchdowns in ACC play (2 interceptions, 1 punt return, and 1 kickoff return), including 3 in the game against Clemson, allowing them score 41 points and win by 18 despite gaining only 219 yards. Another facet of that dichotomy is that the Hokies outstanding defense (2nd in SDPI yards and first in SDPI points) consistently gave the offense outstanding field position either through turnovers (+15 in ACC play) or forcing 3 and outs. The second team that shifts a little when we contrast points and yards is Wake Forest. Based on points scored and allowed, the Deacons finished about where they should have, but in regards to yardage they finished better than expected. Wake can also thank non-offensive touchdowns for their good fortune. The Deacons returned one fumble, one kickoff, and 5 interceptions for scores in their 8 ACC games. The final team with a large disparity between points and yards in Georgia Tech. Using the SDPIP, the Jackets finished a little below the middle of the pack (8th place) as they were outscored by 13 points in ACC play. However, when we look at yardage, they shoot into the top 4. Unlike the Hokies and Deacons, the Jackets only managed a single non-offensive touchdown in ACC play and were -8 in turnover margin. The Hokies scored the most point and the Eagles gained the most yards. Virginia Tech's proclivity at scoring on defense and special teams allowed them to score more points despite gaining about 78 fewer yards per game than the Matt Ryan led Eagles. No controversy here as Duke was simply terrible at moving the ball. Good luck Mr. Cutcliffe, you have your work cut out for you. In points allowed per game the Tigers were second and in yards allowed per game the Hokies were second. Either way, these two were the cream of the defensive crop in the ACC. I'd be inclined to give the Tigers the edge as 4 touchdowns were scored against their special teams or offense versus 1 for Virginia Tech. Again no surprise to see Duke at the bottom. It does have to be a little disturbing for Wolfpack fans to see they allowed the most yards in conference play (over 406 per game). To be fair, that statistic is bolstered by the 608 yards Clemson put up against them. The Devils played in the weaker division, but unlike their division brethren, did not have Duke on their schedule. The Cavs played in the easier division, and in their games against Atlantic teams, they avoided the clear cut powers, Clemson and Boston College. If Clemson fails once again in their quest to play in the ACC Championship Game, Mr. Bowden may be in serious trouble. The past 3 seasons, the Tigers have finished within one game of the Atlantic Division lead each year, but have been unable to see the deal. If Shakespeare had any inklings of writing athletic tragedies, he could do a lot worse than model the Tigers' ACC sojourn. In the span, the Tigers have lost 10 ACC games. 7 have been decided 6 points or fewer, and in 3 games, the margin has been a single point. Clemson brings back a senior starting quarterback, their top 2 running backs, every player who caught a pass save La'Donte Harris (only 12 catches), and a host of talent on defense. They do face 3 touch road games within the division (Florida State, Boston College, and Wake Forest), but with the departure of Matt Ryan, this is clearly Clemson's race to lose. Though not as dominant as their point differential would indicate, the Hokies have to be the favorites to come out of the Coastal Division. 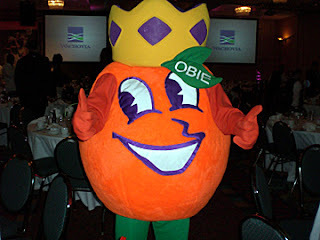 They should be a much weaker pole leader than Clemson though. For starters, the Hokies lose their top 4 pass-catchers and the defensive unit loses stalwarts Xavier Adibi, Vince Hall, Chris Ellis, and DJ Parker, as well as any underclassmen who decide to leave early. In the second season of the Butch Davis era, the Tar Heels should certainly get to bowl eligibility, and I wouldn't be too surprised if they hang around in the conference race. Last season, the Heels were involved in 8 one-score games. They won only 3 of those contests. Some improvement in both the luck department and from quarterback TJ Yates could mean big things for the Heels in 2008. Jealous fans of the Blue Devils and Wolfpack should not get too worried though. As the Butch Davis era approaches its zenith in 2010, some big-money school will come calling and despite protests to the contrary, Davis will be gone faster than a bottle of Jack in Phil Ford's refrigerator. Over in Atlanta, Paul Johnson is the right man for the job. In my opinion, Johnson is the best coach in the NCAA. He probably won't win an ACC Championship in his first season, but the indicators are there for some improvement in the Jacket's won/loss record. If the defense can remain in the good to steady range, the offensive improvement will put the Jackets in the Orange Bowl by January of 2012. As for other teams that may improve, I expect that come July we will be hearing a lot about how Miami and Florida State are about to reclaim their place at the table with college football's elite. Consider me skeptical until it happens. Especially Miami. They were simply atrocious in 2007. The offense was and has been bad for sometime now, but the defense also slipped last season. There are no positive indicators for a Canes' revival. Certainly, Miami could get to bowl-eligibility, but anything more than a 7-win regular season would be shocking. As for the Noles, well a second-place finish in the Atlantic would certainly not be out of the question, but that is more an indication of the relative parity (suckiness) of the ACC than any praise that should be heaped on the elder Bowden's boys. The Eagles bid adieu to their senior quarterback, Matt Ryan, two of their better receivers (Andre Callender and Kevin Challenger), and the best players on their turnover happy defense (Jamie Silva, Jolonn Dunbar, DeJuan Tribble, and Nick Larkin). The Eagles' shot at the ACC was last season. Now the rebuilding must begin. My alma mater seems to owe the piper a healthy check after their good fortune the past 2 seasons. Although they return most of both starting lineups, the loss of both Kenny Moore and Kevin Marion will hurt the passing and return games. The extreme turnover margins (+13 in 2006 and +9 in 2007) and non-offensive touchdowns appear to be unsustainable, so don't be surprised if the Deacons slip in the standings. And finally we have Virginia, patron saint of winning ugly. While Wake did it first and better (in 2006), the Cavs seemed to have a rabbit's foot with them at all times. Take away the 48-point sloshing of Miami, and the Cavs scored 3 more points than they allowed in ACC play. Game-changing defensive end Chris Long is gone so the onus will be on the offense if the Cavs are to compete for anything more than a trip to Charlotte in 2008. Some of football's biggest plays and most spectacular moments occur when you least expect them. A fumble return, a pick six, or a blocked punt are all huge momentum shifting scoring plays. They are also highly random. Whether or not a fumble or interception gets returned for a touchdown depends on a host of variables: field position, personnel on the field (for both teams), where the fumble/interception occurs (middle of the field or along the sideline, backfield or in the secondary), and the awareness of the team that loses the football to name just a few. Touchdowns scored by special teams units are also quite random. 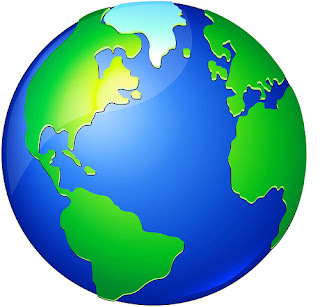 The weather (slick ball, wind, etc. ), the quality of the officials (did they miss that clip? ), injuries to key personnel, and missed blocks are a couple that spring to mind. Thus a team that scores a large number of non-offensive touchdowns (known as NOTDs henceforth) one season, will probably not score them with the same regularity the following year, and vice-versa. 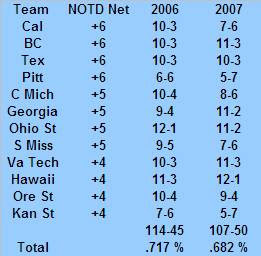 This post will examine the top and bottom NOTD scoring teams from 2007 in terms of their net NOTDs. That is, the number of NOTDs they scored versus the number they allowed. Before we dive into the 2007 numbers, lets take a look back at 2006 to see if we can gleam any insight into what happens to teams who have very good or very bad NOTD net numbers the following season. The teams we want to examine from 2006 are the extreme teams. If a teams score one more NOTD than they allowed (+1), well we really don't care. We are concerned about the teams at the far end of the bell curve. 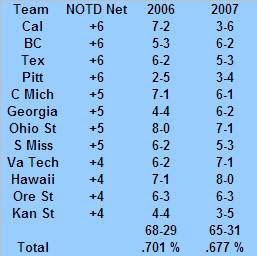 Thus we are going to be looking at teams that were +4 or greater in NOTD or -4 or worse in 2006. 21 teams fit that criteria (12 who were +4 or greater and 9 who were -4 or worse). Here are the top 12 teams from 2006, their NOTD net rating, their record in 2006, and their record in 2007. Only one team declined significantly. Cal went from 10-3 and co-Pac-10 champs to a low-tier bowl game against Air Force. 6 other teams declined, but their declines were negligible and can be attributed to random chance. Overall, the 12 teams saw their cumulative winning percentage decline by .035; hardly a drop at all. What about conference record? Maybe these teams all beat up on pansies in their non-conference schedule and took it on the chin once the real action started. Not so much. Again Cal is the only team that suffered any pronounced decline not attributable to random chance. Now let's examine the opposite side of the coin. 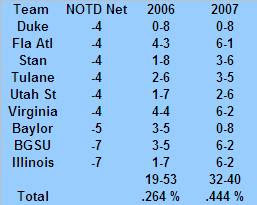 Here are the teams with the worst NOTD net from 2006, along with their records from 2006 and 2007. Of these 9 teams, all but two improved, and 5 improved substantially (at least a 2 game improvement). Florida Atlantic went from 5 wins to Sun Belt champions and the New Orleans Bowl. Stanford went from being one of the worst teams in IA to being marginally competitive. Virginia went from 5 wins to a near appearance in the ACC Championship Game. Bowling Green went from 4 wins to the GMAC Bowl, and finally, Illinois went from 2 wins to the Rose Bowl. In the interest of completeness, here's how those teams performed in conference play. Again only 2 teams did not improve in conference play (perennial cellar dwellers Duke and Baylor) while the aforementioned 5 teams improved by at least 2 games in league play. What this seems to suggest is that the best (or luckiest depending on semantics) NOTD net teams don't necessarily drop off the face of the Earth, but rather that the worst (or unluckiest) NOTD net teams often improve. Please be award that this is only one season's worth of data, but when you are looking for some surprise teams in 2008, it might not be a bad idea to peruse the bottom of the NOTD net list. 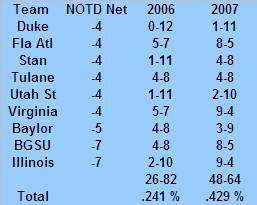 With that qualifier, here are the best and worst NOTD net teams from 2007. My alma mater, the Demon Deacons led the nation with 10 NOTDs and were +8 in that category on the season. In my Fiesta Bowl preview, I noted that Oklahoma was not dominant (at least in terms of yardage) in their Big 12 games. Their +7 NOTD net rating helps explain why their final scores made us think we were watching a dominant team. The Huskies +6 NOTD net helped a flawed, mediocre team tie with West Virginia for the Big East crown. The other 9 teams on this list all owe a portion of their success to NOTDs. While a few will likely suffer a decline next season (two of the canines in particular), fans of these 12 teams should not be unsettled based on what happened to the top NOTD teams from 2006. And now the worst NOTD teams from 2007. While all 13 of these teams were unlucky, some did experience success. Kentucky, East Carolina, and Florida Atlantic all won bowl games despite very low NOTD net ratings. I wholeheartedly guarantee a few of these teams will be pleasant surprises in college football next season when their luck improves. East Carolina is a pretty good sleeper pick to win Conference USA and further down the league standings, don't be surprised if SMU flirts with bowl-eligibility after a 1-11 season. If Pitt gets some consistent quarterback play, they could be a contender in the Big East. Ditto for Temple in the MAC and Wyoming in the Mountain West. Also take a flyer on North Texas in the ever-improving Sun Belt. Last season, 5 of the 9 teams with an NOTD rating of -4 or worse improved substantially. If a similar ratio holds true this season, 6 or 7 of these squads could see big time improvement. 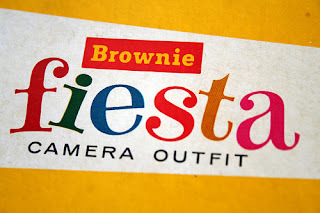 Warning: This preview may contain healthy doses of sarcasm. SEC speed versus Big 10 bulk. Surely the plodding Buckeyes, who run like they have pianos strapped to their backs, are no match for the fleet-footed gazelles from Baton Rouge. LSU has steamrolled through their competition this season, winning all of their games, except that one against Kentucky and that other one against Arkansas. Kentucky and Arkansas are in the SEC though, so those two losses are excusable. In the SEC you have to gear up to play every week. Meanwhile, the Suckeyes, enter the BCS Championship game with a big asterisk in the form of a home loss to Illinois. I mean LSU would never lose at home. In the weak and slow Big 10, the Buckeyes beat only 6 teams who were bowl-eligible. The mighty Tigers beat 7. Even Les Miles knows that 7 is more than 6. Edge Tigers. After beginning the season 5-0, with a point differential of 167 (33.4 per game), the Tigers have won 6 of their last 8, but their point differential is only 81 (10.1 per game). In the first 5 games, the Tigers outgained their opponents by an average of 266 yards per game. In their past 8 games, they gave outgained their opponents by 101 yards per game. Were the Tigers playing over their heads in the first 5 games? Hardly. It's clear LSU has been bored by their lack of competition over the 2nd half of the season, even in the rugged SEC, sleepwalking through their last 8 games. With a title on the line, they will be pumped and ready to play. What about the coaching matchup? 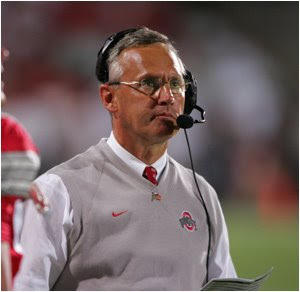 Jim Tressel has had some success...at the IAA level. Sure he won 4 national titles at Youngstown State, but I defy you to name one IAA coach who experienced success upon moving up to the play with the big boys. All Tressel has done at Ohio State is beat an overrated Miami team to claim the 2002 National Championship. But it took him overtime to do it, and as any LSU fan knows, OT losses do not count. Plus, Miami and Ohio State were only in that game because they play in JV conferences. Vanderbilt would have had an even chance of beating both those teams on a neutral field. The SEC rules! 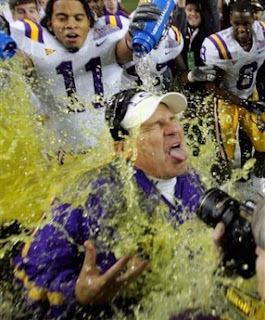 Les Miles on the other hand just won his first of many SEC titles in only his third season at the school. Sure he probably had the most talent in the SEC in both 2005 and 2006, but the league is just too rugged and tough to penalize him for that. Some Miles is not the best strategist, but those people don't understand the emotion of football. Give me a fiery coach who throws caution to the win and goes for it on 4th down and throws passes into the end zone as time expires over some sweater-vest wearing pansy. In summation, Ohio State has no chance in this game. The SEC is just too fast and its teams are too battle-hardened by having to play hard every week. Take your mortgage payment/rent money/petty cash/change in your coach and put in on LSU. Geux Tigers! The Pick: Ohio State will cover the 4 point spread. The penultimate bowl game of the season could also end up being one of the most entertaining. While neither of these teams should end the season within spitting distance of the top 10, they do boast their respective charms. 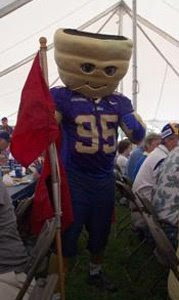 From 1992-2002, a span of 11 seasons, the Tulsa football team won 34 games, lost 88, and tied 1 for a winning percentage of .280. From 2003-2007, a span of 5 seasons, first under Steve Kragthorpe (4 years), and continuing under first-year head coach Todd Graham, the Golden Hurricanes have won 38 games and lost 26 for a winning percentage of .594. In the course of half a decade, Tulsa has gone from one of the worst programs in Division I to one of the best mid-majors. The Hurricanes were certainly led by their hurry up offensive attack this season. The offense, led by senior quarterback Paul Smith, averaged nearly 543 yards per game (tops in the nation). Smith averaged 9.5 yards per pass (2nd in the nation among qualifying quarterbacks), threw 42 touchdown passes (2nd in the nation), and boasted a quarterback rating of 160.29 (7th in the nation). The Golden Hurricanes have a pair of 1000-yard receivers in Trae Johnson (1039) and Brennan Marion (1244). Marrion is a big play waiting to happen. He averages over 30 yards per reception (31.9)! Tulsa does struggle defensively though. They gave up an average of 469 yards per game (111th in the nation). They were equally bad at stopping the run (allowed 4.61 yards per rush--91st in the nation) and the pass (allowed 7.7 yards per pass--98th in the nation). Tulsa held their opponents under 30 points only 4 times in 13 games. They allowed at least 40 points in almost half (6) of their games. Bowling Green has been pretty successful in the new decade too. First under Urban Meyer (coach from 2001-2002) and since then under Gregg Brandon, the Falcons have won 55 games and lost only 29. In those 7 seasons, the Falcons have had 6 winning seasons, played in 2 bowl games (soon to be a 3rd on Sunday), and averaged more than 30 points per game 6 times. The Falcons can best be described as a diet version of Tulsa. Their offense is not as prolific (417 yards per game--43rd in the nation) nor as porous on defense (413 yards allowed per game--79th in the nation). After a 4-4 start, the Falcons have reeled off 4 straight wins to become bowl-eligible. However, neither of those 4 victims finished with a winning record (Akron, Eastern Michigan, Buffalo, and Toledo finished with a combined record of 18-30). After 4 straight no-frills NFL playoff games, take some time to enjoy what should be a very high-scoring game. Both teams will move the ball up and down the field, but Tulsa should be able to outscore the Falcons. The Pick: Tulsa will cover the 5 point spread. Here's a fun little trivia question to try on your friends before this game: Which team, Rutgers or Ball State, has more bowl appearances? The answer: Neither. This is the 4th bowl appearance for both teams, and the 3rd in a row for Rutgers. If Rutgers is properly motivated, this game should not be very competitive, but it is still worth a look to see one of the best quarterbacks you've never heard of, Nate Davis of Ball State. After a freshman year in which he tossed 18 touchdown passes and just 8 interceptions while compiling a quarterback rating of 146.65, Nate Davis maintained the status quo, throwing for more touchdowns (27), fewer interceptions (6) and a nearly identical quarterback rating (141.18). Plus after totalling negative yardage on the ground in 2006 (-48) and no touchdowns, Davis rushed for 197 yards and 5 touchdowns. His great play helped the Cardinals average 432 yards per game (30th in the nation). But, the Cardinals finished only 7-5 (5-2 in the MAC) thanks to their defense, or lack thereof. The Cardinals gave up 419 yards per game (87th in the nation), and if not for the the offensive unit's stinginess with the football (only 10 turnovers all season--tops in the nation), the defense would have looked much worse on the scoreboard (allowed 26.3 points per game--56th in the nation). The Rutgers Scarlet Knights followed up their Cinderella performance with a mediocre year, but at 7-5, are much better than most Scarlet Knight incarnations. In fact, statistically, the Knights are much better than their 7-5 record. Even when we remove the stats from their joke of a non-conference schedule (Navy and Maryland were the only teams they played with a pulse), they still have the 3rd best yardage differential in the Big East (behind only West Virginia and South Florida). What happened to the Scarlet Knights between 2006 and 2007? Our old pal regression is mostly responsible for the decline in wins. In 2006, the Knights lived a pretty charmed life. They were 3-1 in one-score games, including a season-opening 21-16 victory against a very bad North Carolina team (3-9 record). In 2007, they were 2-2 in one-score games. That's not a terrible winning percentage, but it does represent a decline from 2006. However, the main area where the Knights suffered an ill-fated regression to the mean was in turnover margin. In 2006, the Knights had a turnover margin of +11, thanks mainly to the fact that they recovered 2/3rds of their opponents' fumbles (an area of luck, not skill). In 2007, their turnover margin was -6, thanks mainly to the fact that they lost 12 of their 14 fumbles on the season (again, luck, not skill). Against teams from outside the BCS conferences in 2007, Rutgers beat Buffalo by 35, Navy by 17, Norfolk State by 59, and Army by 35. Ball State held up pretty well against BCS competition, losing by a single point to Nebraska (albeit a bad Nebraska team), by 11 to Illinois, and by 18 to Indiana (both bowl squads). Still, if Rutgers is motivated, Ray Rice and Co. should slash through the Ball State defense and make this a laugher by the middle of the 3rd quarter. The Pick: Rutgers will cover the 11 point spread. 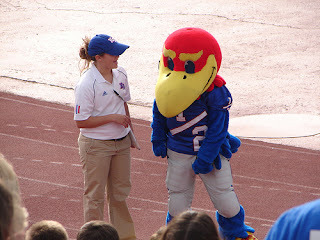 The Mangenius and Kansas have the stage to themselves on Thursday night when they take on the Hokies of Virginia Tech. Critics can poo-poo the Jayhawks soft schedule all they want, but this fact remains--the Jayhawks have dominated it. They have outgained their opponents by over 2000 yards on the season and outscored them by 340. The Jayhawks are not like Hawaii, who struggled against soft competition and got exposed in the Sugar Bowl. And the Hokies are not like the Bulldogs. The Hokies are a fine team certainly, but they are not a championship contender as they may fancy themselves. In the Jayhawks only loss this season, they faced a dynamic spread offense (Missouri) that they could not stop. They allowed 519 yards to the Tigers and yet they lost by only 8 points because they were able to eventually get their offense going against a solid defense (ask Arkansas how good it was). The Virginia Tech Hokies do not boast a dynamic offense. In fact, their offense is poor. They rank 99th in the nation in yards per game (332 per contest). The Hokies won 5 games this season when they gained 300 or fewer yards thanks to their outstanding defense and special teams. The Hokies brought two punts back for touchdowns and rank 7th in the nation in punt return average (14.35 yards per return). Kansas will not be able to move the ball efficiently against Virginia Tech, but the Hokies will find it tough going against the Jayhawks as well. In what should be a low-scoring affair, Kansas will pull off the upset. The Pick: Kansas will cover the 3.5 point spread. Can West Virginia, jilted by its head coach for a program with better history and infrastructure, at least make this BCS game competitive? The first two BCS games of the New Year were total gag-fests. This one has all the trimmings as well. Both these teams have looked like world beaters at times. Oklahoma was poised to play for the national title until a late season loss at Texas Tech, and West Virginia looked ready to do the same until a home no-show against Pitt. Both these teams boast impressive yardage differentials. Oklahoma outgained their opponents by 1654 yards on the season (a shade more than 127 per game). West Virginia outgained their opponents by 1903 yards in one fewer game (158 per game). However, most of Oklahoma's alleged dominance occurred in 2 games--against North Texas and Utah State. If we remove those yardage margins where the Sooners outgained severely undermanned teams 1285-400, their yardage differential drops to 769 over 11 games (70 per game). In fact, if we only look at Big 12 conference games, their yardage differential is only 342 yards (38 per game). West Virginia did not play any cupcakes the likes of North Texas and Utah State. The worst teams they beat were Marshall, Western Michigan, and conference brethren Syracuse. If we remove their two most non-conference performances (Western Michigan and East Carolina) where they outgained their opponents by a yardage count of 1141-437, their yardage differential is still an impressive 1199 in 10 games (120 per game). In fact, in 7 Big East games, West Virginia outgained their opponents on average by 109 yards per game. West Virginia will probably lose as teams with interim coaches have yet to notch a victory this bowl season, but this one will be very close. The Pick: West Virginia will cover the 8 point spread.